Its a Wonderful Movie - Your Guide to Family and Christmas Movies on TV: The Chronological Order of Hallmark's "Signed, Sealed, Delivered" - plus DVD info! Follow below the divine delivery of the Hallmark series Signed, Sealed, Delivered on it's journey, so far, from 2013 to 2018! *The Premiere Movie is Available on DVD! Storyline: “Signed, Sealed, Delivered,” introduces a dedicated, quartet of civil servants in the Dead Letter Office of the U.S. Postal System who transform themselves into an elite team of lost-mail detectives. Their determination to deliver the seemingly undeliverable takes them out of the post office into an unpredictable world where letters and packages from the past save lives, solve crimes, reunite old loves and change futures by arriving late but always miraculously on time. The intrepid team is led by the charming and handsome, but idiosyncratic, Oliver (Mabius) who still considers the stamped and mailed letter to be the gold standard of human communication. His hapless team of lost letter experts, free-spirited Rita (Crystal Lowe, “Smallville”) and oddly- intuitive Norman (Geoff Gustafson, “Primeval: New World”), are thrown for a loop when a beautiful, no-nonsense technophile named Shane (Booth) is mistakenly transferred to their inner sanctum. Shane inspires the lovable crew to step up in a risky and unorthodox way, beginning with a chance to clear the name of a wrongfully accused man and reconnect him with the love of his life. See my: Signed, Sealed, Delivered: Premiere Movie page for movie images & more details!!! *The Series is Available on DVD! *Episodes "Time to Start Livin" and "To Whom It May Concern" now air together under the title Time to Start Livin' in a 2 hour format on Hallmark Movies & Mysteries. *Episodes "Soulmates" and "The Masterpiece" now air together under the title Second Chances in a 2 hour format on Hallmark Movies & Mysteries. 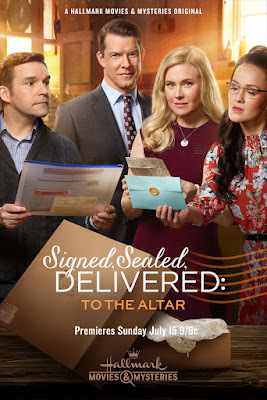 Episode 5: "The Edge of Forever": The postables are dealt their most heart-wrenching challenge yet when they receive an unusual package with a letter from a deceased woman. Oliver (Eric Mabius) and Shane (Kristin Booth) set out to piece together clues from the family’s past, so they can help them move towards a better future. Meanwhile, back at the Dead Letter Office, Rita (Crystal Lowe) is deciding whether or not to compete for the Miss Special Delivery Pageant. *Episodes "The Edge of Forever" and "The Future Me" now air together under the title Reconcilable Differences in a 2 hour format on Hallmark Movies & Mysteries. *Episodes "Something Good" and "Dark of Night" now air together under the title Freedom to Forgive in a 2 hour format on Hallmark Movies & Mysteries. Episode 9: "The Treasure Box": Oliver and Shane investigate an unusual case that leads them to a bank vault. As Rita (Crystal Lowe) prepares for the statewide Miss Special Delivery competition with Norman’s (Geoff Gustafson) guidance, Oliver and Shane discover they're locked in the vault without enough air to survive. There, they unearth a timeless treasure that will change lives if they don't lose their own. *Episodes "The Treasure Box" and "A Hope and A Future" now air together under the title Family Reunited in a 2 hour format on Hallmark Movies & Mysteries. 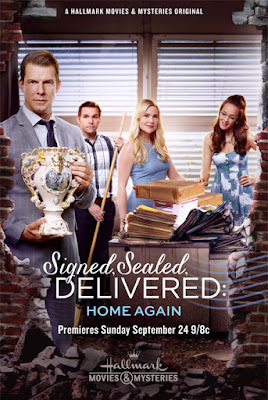 See my: Signed, Sealed, Delivered: the Television Series page for movie images & more details!!! 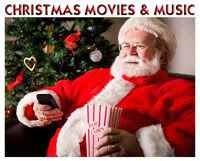 The Christmas Movie is Available on DVD! Storyline: When the beloved quartet of postal detectives— Oliver (Mabius), Shane (Booth), Rita (Lowe) and Norman (Gustafson)—discover an urgent letter written to God, they delay their own travel plans to help a little girl who's mother's life hangs in the balance on Christmas Eve. With guidance from a mysterious post office volunteer, Jordan (Estes) and Oliver's former Sunday School teacher (Ross), the Postables are surprised to discover they've been a part of more than one miracle on this Christmas Eve. See my: Signed, Sealed, Delivered: For Christmas page for movie images & more details!!! This Movie is Available on DVD! Storyline: The Postables, Oliver, Shane, Rita and Norman, explore the mystery of true love as they deliver divorce papers to one couple the same day Oliver's missing wife reappears. 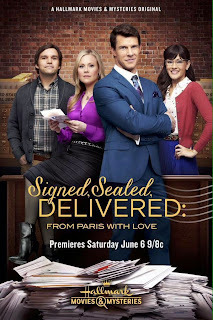 See my: Signed, Sealed, Delivered: From Paris With Love page for movie images & more details!!! Storyline: The POstables - a special group of Post Office Investigators - are on the case when a soldier's letter home is lost in the mail. Though they find the letter's intended recipient, the team discovers that, in this case, finding the letter's sender is just as important in unlocking the letter's true mystery. During the investigation, POstable leader Oliver goes on a personal journey of his own when his estranged father comes back into his life with shocking family news. See my: Signed, Sealed, Delivered: Truth be Told page for movie images & more details!!! Storyline: The Postables work against the clock decoding a letter to rescue a soldier in Afghanistan and reunite her with her family, while Rita competes for the National Miss Special Delivery title in Washington, D.C.
See my: Signed, Sealed, Delivered: The Impossible Dream page for movie images & more details!!! Storyline: The POstables investigation of a damaged letter leads them to a public figure who could be brought down by its contents; while Oliver, Shane, Norman and Rita each deal with personal challenges in the aftermath of Valentine's Day. 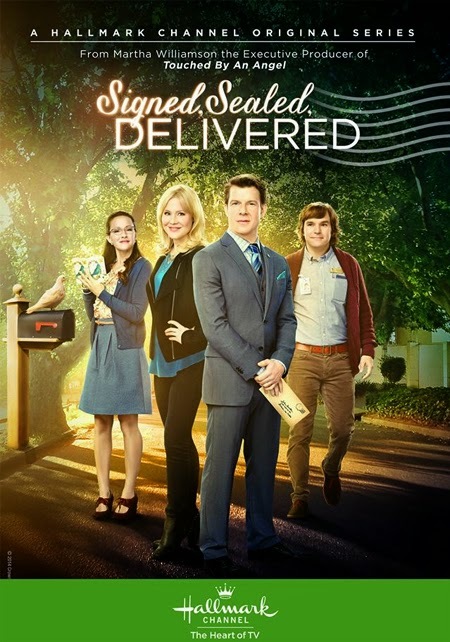 See my: Signed, Sealed, Delivered: From the Heart page for movie images & more details!!! Storyline: Oliver and Shane explore their budding romance at a supper club where they meet a woman who's reeling from a sudden breakup with her boyfriend and asks the POstables to retrieve the valuable letter she just mailed him. Stars Eric Mabius, Kristin Booth, Crystal Lowe, Geoff Gustafson and Gregory Harrison. See my: Signed, Sealed, Delivered: One in a Million page for movie images & more details!!! 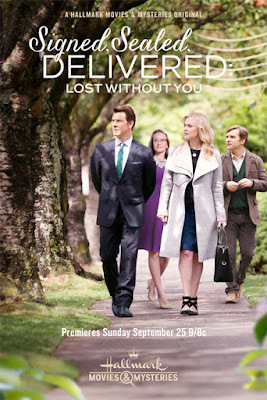 Storyline: Oliver's Divine Delivery Theory is put to the test when he and the POstables seem to be unable to deliver a military veteran's damaged letter that's a matter of life and death. When the case is at a standstill, Oliver and his father go backpacking on a trip that starts out healing and leads to a serious injury. Stars Eric Mabius, Kristin Booth, Crystal Lowe, Geoff Gustafson and Gregory Harrison. See my: Signed, Sealed, Delivered: Lost Without You page for movie images & more details!!! Storyline: In the wake of Hurricane Katrina, New Orleans handyman and blues singer-songwriter, Gabe Recolte was left homeless before he had the chance to express his love for club owner Hattie. Oliver and his team retrieve Gabe's love letter years later and face challenges in solving the mystery. Stars Eric Mabius, Kristin Booth, Crystal Lowe, Geoff Gustafson and Gregory Harrison. See my: Signed, Sealed, Delivered: Higher Ground page for movie images & more details!!! 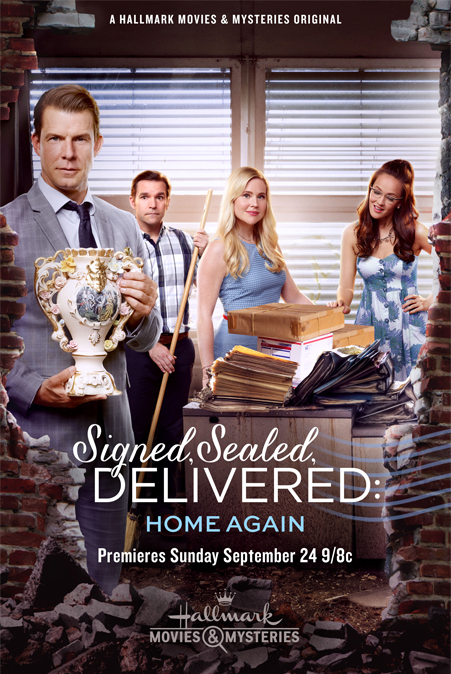 Storyline: "When The Postables discover an antique vase with a letter inside, they trace the package to three little girls who attempted to sell the vase 18 years ago in order to save their family farm. While the vase was an heirloom from many generations ago, the origin is suspicious. With the farm again facing financial hardship, The Postables must choose between doing what’s legal and what’s moral." See my: Signed, Sealed, Delivered: Home Again page for movie images & more details!!! Storyline: The Postables take a road trip in an old Winnebago in order to track down a small boy who they fear may have been kidnapped. The discovery of a 1980's era instant camera and the unusual photographs it contains, send our team on a wild ride across Colorado using the pictures as a guide. See my: Signed, Sealed, Delivered: The Road Less Traveled page for movie images & more details!!! Will be available on DVD - July 16, 2019! Storyline:As Rita and Norman get ready to walk down the aisle and say “I do,” the POstables go beyond the call of duty when, after completing their postal mission, they attempt a much bigger reunion – that of a mother and daughter separated by mysterious circumstances and years of pain caused by a mother’s absence. See my: Signed, Sealed, Delivered: To the Altar page for movie images & more details!!! The Future of "Signed, Sealed, Delivered..."
Once again, the "Signed, Sealed, Delivered" series is leaving one Hallmark network and moving to another. 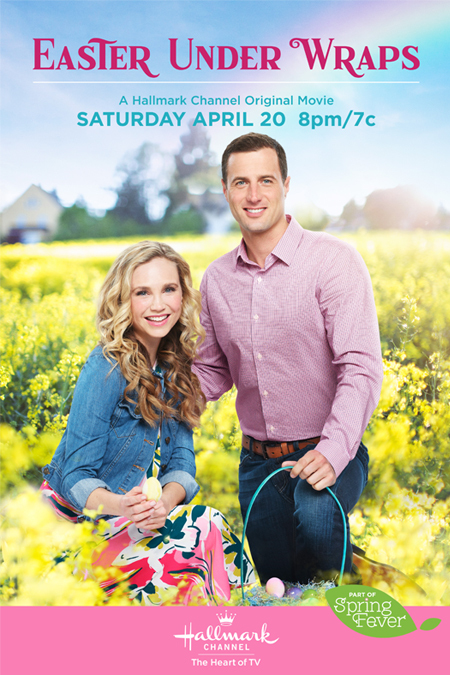 This time, this beloved franchise is relocating to Hallmark's third channel, Hallmark Drama! I think this is quite an honor for the series, which is the first announced premiere movie for this network! 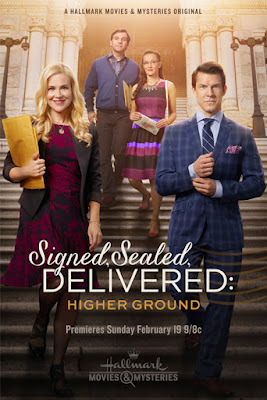 Many new and exciting things are surely to come for the Hallmark Drama channel, and "Signed, Sealed, Delivered" will be there to make the first delivery, hopefully drawing even more viewers to the station! More news to come... stay tuned! This series is truly amazing and inspiring. I hope you will enjoy every episode & movie! will leave a forever stamp on your heart!" The Truth Be Told episode has a wonderful song in it that starts "and my word, through and through" I can't find it anywhere, who the artist is or what the title is. Can you help"
I was hoping someone might discover this. I will have to take a deeper look into it! I haven't heard any news on more Signed, Sealed, Delivered DVD releases, yet, but I sure hope they will be released soon! They are all so wonderful! If and when they do become available, I will be sure to add those links above. Wish I could give you more news. Thank you for commenting on this amazing series! ALL The Sealed Sealed Delivered MOVIES-Get thee on DVD! ASAP! In Canada we have to wait a little longer. Still waiting for The Impossible Dream to air. Absolutely love these movies!!! Will be the first in line to purchase on DVD. I am seriously completely enchanted by this series! I love that there are even Oliver and Shane fan videos on YouTube! LOL I haven't seen all of them which makes me excited that I still have some to watch but the Christmas movie makes me cry every time! OMG so good! Thank you for this awesome post! Soo, soo excited!! I cry to evrytime I watch the christmas movie. Love them all. The actors really make it. I can't imagine anyone else playing those characters. Love all the SSD movies, wish they would continue as a series. Especially the Christmas movie, I watch it every time it's on. Can't wait to see the new movies. Wish they'd made another one this Christmas. WHAT IS THE SONG THAT OLIVER AND SHANE DANCE TO IN THE 2HR EPISODE MASTERPIECE/SECOND CHANCES? Not a problem - I simply only posted one, since they were identical. I appreciate you sharing the information! And, welcome to commenting on the site!!! This is the best organized listing of Signed Sealed Delivered I've seen on-line, and believe me I've looked. As someone who didn't know this show from the beginning, this list helped me go back and fill in the gaps. Kudos to you! Thank you so much for posting this list. Love the show! Thank you so much for posting the list. I did not realize Hallmark had repackaged episodes from the series as movies and renamed them. At first I thought I was missing episodes. All but the pilot movie, have come after the TV series ended. These aren't repackaged & renamed episodes from the series. 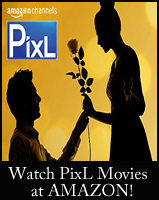 The movies have aired on the Hallmark Movies & Mysteries channel. I'm not sure if the regular Hallmark channel has aired them. What is the song Shane and Oliver dance to in From the Heart? Sorry for the repost but what is the name of the song Oliver and Shane dance to at the end of From the Heart? The tune is the same as the hymn 'When I Survey the Wondrous Cross', but I don't know if there is a popular song with that tune as well. Oliver quotes the words to a folk song as they dance. It is called "The Water is Wide" and uses the same tune (O WALY WALY) as the hymn. Which of the movies is about the young lady from the middle east that a solder saves from the worn torn nation and as she graduates the postables find him and reunite them. I remember that episode, it was really good! On Net’s list, it’s called "To Whom It May Concern" (episode #2). Oh, thank you for answering that question. That's the one! One of many wonderful POstable reunions! I also love all the movies. Great cast! I saw a commercial advertising that the tv series is available on subscription service Hallmark Movies Now. I had taped the episode mentioned above. I kept replaying the airport scene over & over. It got me as much the last time I watched as the first time. I love them all very much, I watched them over and over again. Just wish the others would come out on DVD soon. HEY I'M WONDERING THAT SAME THING WHEN WILL THE NEW ONES BE OUT ON DVD.PLEASE IF ANYONE HAS THAT INFO LET US ALL IN ON THE GOOD NEWS. ALL OF THE SHOWS ARE GREAT I WATCH THEM OVER & OVER ALSO...CAN'T WAIT FOR THE NEXT ONE TO COME OUT.THERE CARING,LOVING,AND HEARTWARMING.THERE A FAMILY. Actually, a commenter on my site, Stephanie, just recently shared that she found "Signed, Sealed, Deivered: From Paris with Love" on the CBD (Christian Book Distributors) web-site! So far, it hasn't shown up at Amazon, but I'll keep looking for it there, too. The release date is July 12, 2016 - so there is still some time. As I write this comment on April 6, there is also no DVD cover shown on CBD's web-site. I expect it will be the same poster above, but we'll see! Hi. I previously posted that I found Signed Sealed Delivered From Paris with Love on CBD. Now I am happy to report that I just found it on Amazon available for pre-order as well!!!!! Are there any more SIgned Sealed Delivered movies coming out on DVD? 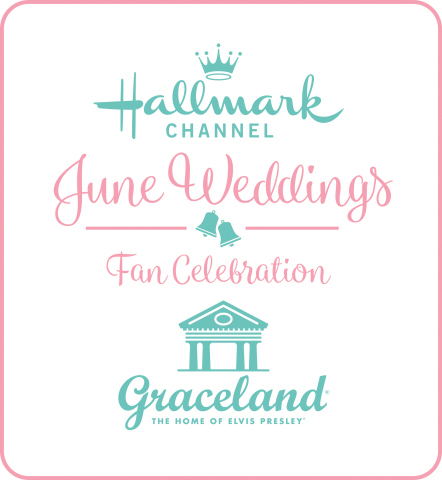 For those who don't have the other Hallmark channel this is our only way to see them on our TV's. Are there going to be any more in this series? We love it. It's our favorite series. Yes! There are more Signed, Sealed, Delivered Movies Coming!!! They are actually in the middle of filming 2 SSD's back to back from April 21st thru May 30th! And, all the original cast: Eric Mabius, Kristin Booth, Crystal Lowe, and Geoff Gustafson are back!!! The cast is rather awesome about sharing on-the-set pics via Twitter & Instagram! When is the next movie coming out? I have never enjoyed a show as much as this one. I laugh, I cry. The characters are thoroughly enjoyable. Love, love, love this show. Thank you, Hallmark, for such wonderful entertainment. I love the Signed, Sealed, Delivered movies -- thank you for this organized list. When I tell all my family and friends about the show, it's kind of hard to tell them what to watch first, but after I saw this -- I e-mailed them all the link. It has been the perfect guide for them to see it all in order. Now they all love it as much as I do and want more movies! Will there be a fourth SSD movie to air this year, 2016? I originally saw that there would be at the first of the year, but so far I haven't found an airing date and this is now Nov. 2016. It was originally Hallmark's plan to release four Signed, Sealed, Delivered movies this year, but plans changed and they are actually currently filming the next movie right now! It should air early next year on Hallmark Movies & Mysteries. Beyond that, we have not heard if there will be more. I suspect they are waiting until their TCA event in January to announce the future of Signed, Sealed, Delivered... and other movies and series!!! I sincerely hope and pray there will be more SSD deliveries in 2017 and beyond!!! Love these movies! Wish they would release more on DVD! When does "Truth Be Told" become available on DVD? I sure hope we will get more DVDs from the Signed, Sealed, Delivered movie series soon! I keep thinking the shows "Truth Be Told" and "The Impossible Dream" (since the military story goes together) would make a great 2 in 1 DVD Set Collection. But - please know I have no official word on that happening. That is only my hope. A guess. There are 6 Signed Sealed Delivered movies that have, yet, to be released on DVD- so I keep hoping and searching for any news on more, and I will be sure to POST here - if & when it happens!!! 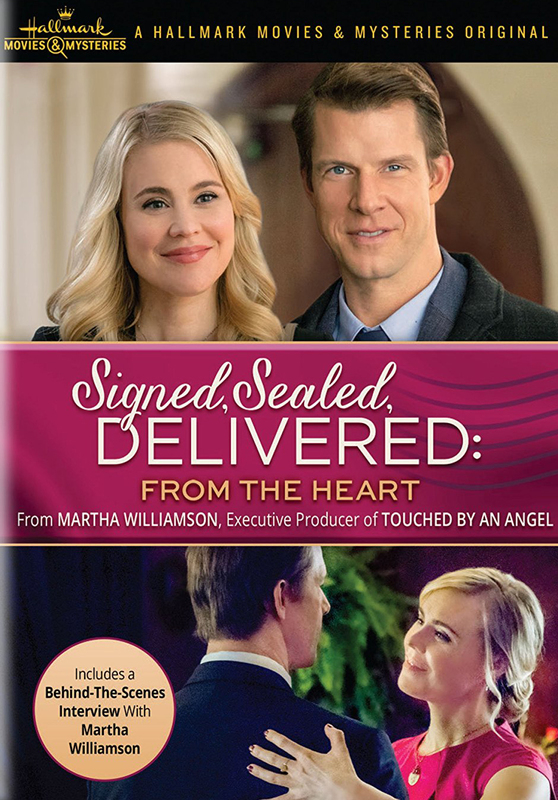 Signed Sealed Delivered From the Heart will be the next SSD movie to be released on DVD! It is coming July 18, 2017! Unfortunately, they will be skipping two great SSD films - Truth Be Told and The Impossible Dream with this release. I sure hope they eventually plan to release both of them, as well. Any SSD DVD News, however, is Good News!!! We miss the Hallmark mivies, Signed, Swaled, Delivered on TV. When can we expect some new ones? Please!!! Please notify me of any new releases on DVD or television. I absolutely love this series and watch them every time they are on television. I have also purchased the first 4 that are out and anxiously waiting to purchase the rest as soon as they are released. Already noted my calendar for the release of From The Heart. So excited! Love these movies please keep making them and releasing them on DVD. Looking for the movie when Oliver's father returns the unopened letters Olive kept returning and then threw away. I started watching and had to stop and cannot remember which movie it was. Can you help? Absolutely! The "Signed, Sealed, Delivered" Movie you are referring to is "Signed, Sealed, Delivered: Truth Be Told." That is a wonderful movie which leads to a continued story in the next SSD movie - "Signed, Sealed, Delivered: The Impossible Dream." I hope you'll be able to catch these movies next time they are on Hallmark Movies & Mysteries! Unfortunately, these two are not on DVD, yet! But, hopefully one day!!! Thank you. I do love this series. Just started watching Hallmark movies this year ad I am addicted to all of them. Appreciate you. I'm always delighted to hear from another fan of "Signed, Sealed, Delivered." So happy to hear, you love it, too!!! Thank you so much for this fantastic list! My girls (10 & 15) and I love this series and I couldn't find a comprehensive list to see which ones we haven't watched yet. I just ordered the DVDs that are available, thank you for the links! Thank you, Andrea, for your thoughtful comment! I'm so glad my "Signed, Sealed, Delivered" movie list & DVD links were helpful for you. 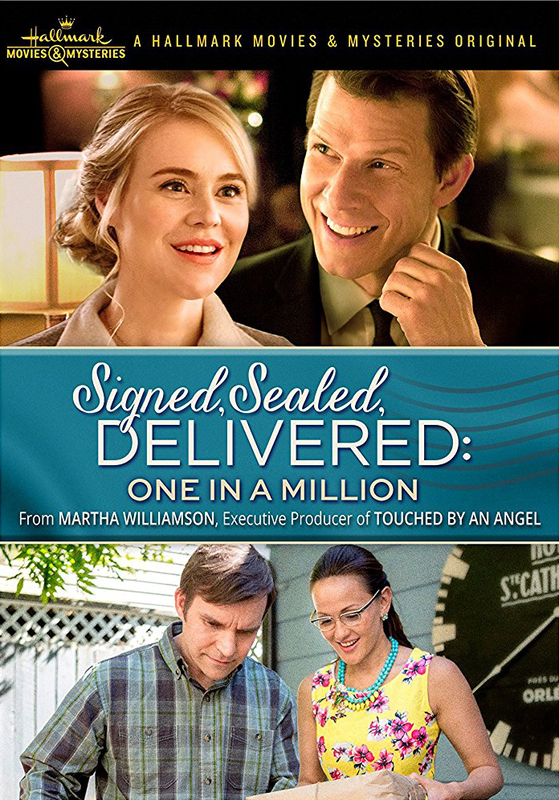 I love the "Signed, Sealed, Delivered" series beyond words - so I'm thrilled to share these movies! This page was very helpful to me, Net. My mom and Grandma loved this show on the Hallmark Channel, but they don't have the other channel. I'm going to surprise them with these movies for Mother's Day! Your links were a lifesaver for me, as I had no clue which movies came first. Oh my goodness... I hope they both enjoyed them immensely, Em! What a thoughtful loving gift from the heart! I am addicted to the SSD movies... when will the other three new 2017 movies be airing? It's already the middle of May! I love "Signed Sealed Delivered," too! Eric Mabius (Oliver) recently shared they would start filming the next new one later this month! So, it's coming!!! Since there are three to go and it's getting later in the year - I'm hoping one might be holiday related or maybe they are doing another two-part movie, like before with "Truth be Told" or "Impossible Dream." Or, maybe all three will air in one month like Garage Sale Mystery is taking the whole month of August to air 4! I'm just like you - I can't wait to see or hear some sort of news on the next one! According to What's Filming?, the next two "Signed, Sealed, Delivered" movies will be filmed back-to-back from June 13th to July 21st! Another movie that I saw listed on What's Filming? is called "Summer in the Vineyard", filming from May 31st to June 18th! Oh my goodness. They must have just added the film times for SSD later today because I looked this morning and they were not there! I wonder if they delayed filming due to Eric Mabius' incident of falling off a tractor and breaking a rib. Perhaps, they are giving him more time for recovery. All POstables- be sure to keep Eric in your prayers! Thank you so much for this list; it is the best one I have found anywhere. I have been searching everywhere for DVDs of all the movies; now, thanks to you, I know why I couldn't find some of them. I am obsessed with this series; it is so engaging and uplifting. I am glad to know more are coming, and I sincerely hope that the rest will be on DVD soon. Thank you again for this well-done list. Awwww, thank you so much! I'm so glad this post was instrumental in you discovering which Signed, Sealed, Delivered movies are currently available on DVD. I will be sure to update if and (hopefully) when more become available! The next movie is September 24, 2017. Yes, it most certainly is! Can't wait to see our POstables "Home Again" on Hallmark Movies & Mysteries! By the way, for anyone who may not know, that's the name of the next movie... "Signed, Sealed, Delivered: Home Again" !!! I personally love this title! This series is the best TV entertainment my family has ever seen. But why did they skip Truth Be Told and Impossible Dream for DVD release? As for the skipped "Signed, Sealed, Delivered" DVDs... that is an excellent question! I wish I knew. Perhaps, there is music in it they have to get certain rights to or something??? My hope is... they will eventually release those two together in a DVD set, since the story continues from Truth Be Told to The Impossible Dream. Both are such impactful beautiful movies and really need to be made available on DVD! Thank you, Joel, for commenting and sharing your support for "Signed, Sealed, Delivered"! Another release for those of you following these comments... "Signed, Sealed, Delivered: Lost Without You" is coming to DVD on December 12, 2017! I will add pre-order/order details above as soon as Amazon lists it on their site. Thank you to everyone who clicks on my links above and orders through "It's a Wonderful Movie"! I appreciate it very much! Update: The date on the DVD release for "Signed, Sealed, Delivered: Lost Without You" has been updated on CBD's web-site to December 5th! Just wanted to be sure everyone saw this update above as all of us POstables are counting down the days to the next new SSD this Sunday night! Thanks for the update of new DVD releases. You're welcome! I'm so glad so many of them have been made available! I wonder if they are going to do a double featured release with those two movies. Glad they are releasing these. Truth Be Told and The Impossible Dream are my two favorite movies. Vudu is also selling these titles. It's nice to have digital copies of these movies too! I've been wondering and hoping the same thing - for these two particular movies! Truth Be Told and The Impossible Dream would make a perfect DVD set! Thank you, Egreen, for sharing!!! Well I purchased One In A Million from Amazon Canada and the first DVD had to be returned because it wouldn't play. I received a replacement and that one also had to be returned for the same reason. I've purchased all the DVDs available to date and two previous ones also had to be returned for same reason as the latest one. I've purchased DVDs of other shows and have had no problem with them, so I don't believe it's a problem with my DVD player. Has anyone else had a problem with SSD DVDs? Amazon didn't give me an option of a replacement and probably it would also have to be returned. I would like to have it, but at this point I don't know what to do. I'm so sorry to hear about the trouble you've been having with the DVDs in Canada. I have had no issues with mine in the U.S., so I'm not sure what the problem might be. The only thing I can think of might be the region of your DVD player matching that of the discs. Or, perhaps they are damaged or scratched in shipping. When I just received the latest new release, "Signed, Sealed, Delivered: One In A Million" I could hear the DVD was loose inside and moving all around. I left the packaging on and asked Amazon for a replacement, which I promptly received and returned the original. Once a DVD is scratched, you never know if your machine might reject it and if it does, it might have some skipping where the scratches are. Could you possibly try playing it in someone else's DVD player and seeing if that works. It's just a thought. So sorry to hear you are having this issue. I returned them both. I have bought every DVD available for this series and I had the same problem with two others. One of these I was able to return and get a replacement, while the other one I missed the deadline to return it, so I purchased it again. Both of these (replacement and 2nd purchase) work fine. I'm really disappointed because I do think this is the best show on TV and I don't know how to get a good DVD of One In A Million. I have purchased DVDs of other shows from Amazon and have had no problems with them, it's just the SSD series. I do think it has to do with the production of the DVD and I would be willing to pay more and get a good one. Thanks for responding to my post. Hopefully the new show will be picked up by Bravo and we'll get to see it sometime soon. (We don't have access to the Hallmark network in Canada). That is so strange you only have problems with those DVDs. Do you own any other Hallmark movies on DVD? I wish I knew how to help, but I have never had this issue. I sure wish Hallmark would come to Canada for you all. It's so popular here in the U.S. I would think it would expand to other areas, as well. Hopefully, it will be someday. I hope it comes, too. In the meantime we have been able to get these movies through Bravo. They aren't available until some time later. I do hope this one and any future ones become available via Bravo,also. I may try buying the "One In A Million" again in the future and take a chance that the quality is better. Enjoy the new movie tonight. Thank you for the update. I'm glad you are, at least, able to see these movies on Bravo, in Canada, at some point. The new Signed, Sealed, Delivered movie - Home Again was wonderful, and as usual, exceeded all my expectations! Thank you for sharing so much SSD information in one place. Having a "complete" list and knowing which movies are not yet available on DVD is wonderful. Bless you and your family. It's my joy! This is such a beautiful, amazing series! I just love sharing "Signed, Sealed, Delivered" with everyone! Thank you, truly, so much! Thank you for providing this list. I was late in the game on this show and a friend of mine sent me this link. I'm about halfway through now and hooked. Thank you for this list! I am In the process of getting the dvds. You're so welcome, Skrater! Hope you thoroughly enjoy all the movies on DVD! So glad this list was helpful for you. When will the next Signed, Sealed, Delivered movie be out? Hope there will be more, love these movies. The next SSD movie titled: "Signed, Sealed, Delivered: The Road Less Traveled" is coming in 2018! I'm hearing it will premiere in February, possibly around Valentine's Day! Guess what..... Truth be Told right s FINALLY releasing!!!!! It is available for preorder on Christian Book for March 13. I am so excited and I cannot wait! I hope that you had a ver Happy Thanksgiving! Thank you so much, Stephanie, for adding this DVD news over the holidays! 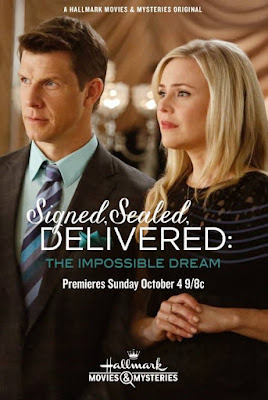 I was so delighted to hear this and I'm also happy to see... "Signed, Sealed, Delivered: The Impossible Dream" is finally coming to DVD, too - on May 15, 2018! I believe this is wonderful news for ALL POstables, since none of the other Hallmark Mystery series have released DVD's this regularly - with one DVD per movie. Murder She Baked is probably #2 in DVD availability; however, instead of all individual releases, they released several in one set. I just can't get enough of this series. I've bought all the DVD's available so far, or the streaming rights. If you haven't been on YouTube (search Shane and Oliver) and seen the clip video's set to music do it now! Start with Then You Looked At Me, it's the most romantic thing I've ever seen. Don't know if Martha Williamson did the casting for her series but there are no 4 people who could make the series what it is. How could you get better feel good TV? I absolutely feel the same way about this series, Karen! It's truly wonderful, spirit filled, and inspiring! I'm certain Martha must have had a hand in choosing her beloved characters. I'm recalling Eric Mabius mentioning talking over the Oliver character with Martha before the pilot movie was even shot. Oliver was to be a true gentleman, inspired I believe by Martha's grandfather, and Eric knew that was the sort of role he wanted to take on. Absolutely the best show and series ever. For anyone just discovering them, it is imperative that you watch each episode/movie in order!! Thanks to this blog for listing them in chronological order! They all build on each other, so no skipping around allowed :) Also be sure to start with the pilot movie, not season 1 episode 1. Enjoy!! 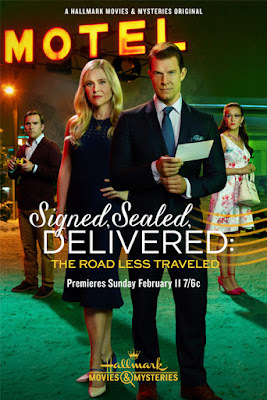 I am trying so hard to find where or when I can watch Signed, Sealed, Delivered: The Road Less Traveled. It has to be out already, I mean feb 2018 has come and gone.PLEASE HELLLLP ME with this. Oh, I wish I knew, Lyz. It is such a wonderful addition to the SSD story. Maybe one of the POstables know, and I can find an answer for you. Lyz- Unfortunately, I still don't see a way to watch this, other than on Hallmark Movies & Mysteries, until it is released officially on DVD. If and when that happens, I'll be certain to share this news above. Many thanks for organizing all the SSD information in an accurate, easy-to-follow format. I've been an SSD fan since the beginning and have never found any other source that accurately and clearly states the chronology and availability (DVD) of these superior movies. Again, many thanks. Super job! The next movie is July 15. Yes!!! It sure is! I know we're all counting down the days until we see our POstables again! By the way, I have pictures and details on "Signed, Sealed, Delivered: To the Altar" - *here*! Best show ever! I just watched the one released on July 15th and am already dying for more!!! I wish they made more than a few a year. Wonder how long we will have to wait this time? Yes, it sure is! We must "trust the timing" and keep hoping for SSD news! Excellent list! I keep praying they will announce more SSD movies for this or next year!!! I'm so glad you enjoyed this list of "Signed, Sealed, Delivered" movies. 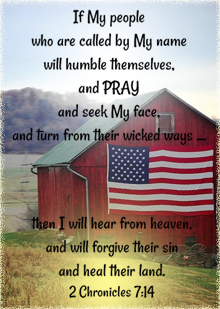 I agree... we absolutely must keep praying this series continues! Thank you, Kathleen! I'm so glad this "Signed, Signed, Delivered" list was helpful to you. It was such fun to put it all together, and I'm grateful to know it has helped many POstables acquire the DVDs and watch the series in chronological order. I'm also praying, hoping, and requesting Hallmark to keep this series going... I keep waiting for them to "deliver" some sort of news! I hope and pray that there will be more Signed Sealed and delivered movies. Being a postmaster's daughter I have identified with them because I personally know of instances where the post office has delivered impossible packages. You'll be so happy to know - all but one "Signed, Sealed, Delivered" movie is now available on DVD! I love your personal story of being a postmaster's daughter. I'm sure all the delivery stories you've heard along the way have been incredible! Isn't it so nice when a wonderful movie series like this resonates with our own lives! By the way, the latest DVD release is Signed, Sealed, Delivered: The Road Less Traveled! Was so hoping for a new Christmas movie for 2018 featuring newly married Postables, and newly ENGAGED Postables! I guess it was just too much to hope for after the wonderful To the Altar. I keep hoping too! I'm sure there are lots of undelivered letters out there and stories to tell! I love hearing from all the #POstables!